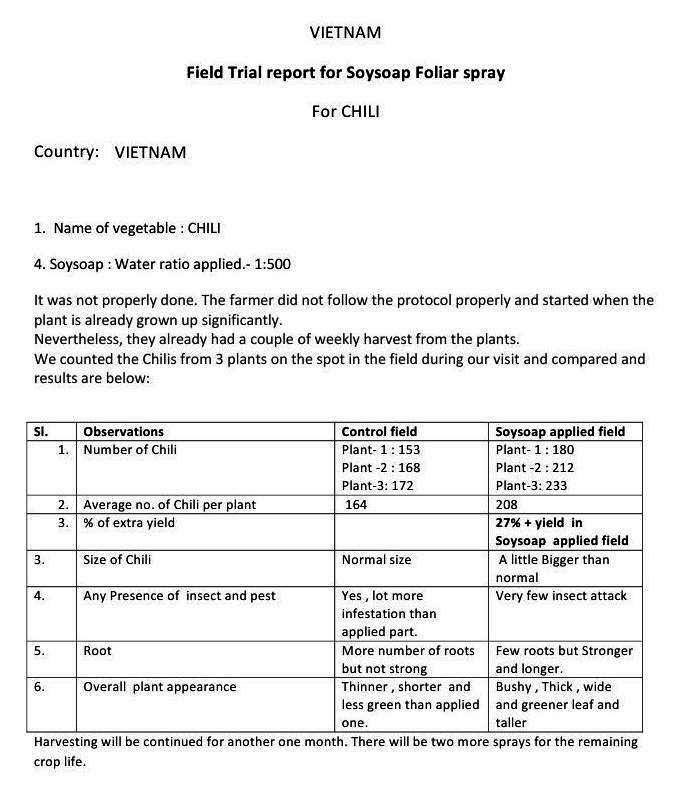 2018 Vietnam Final Report Green Chilli's 27% More Per Picking! 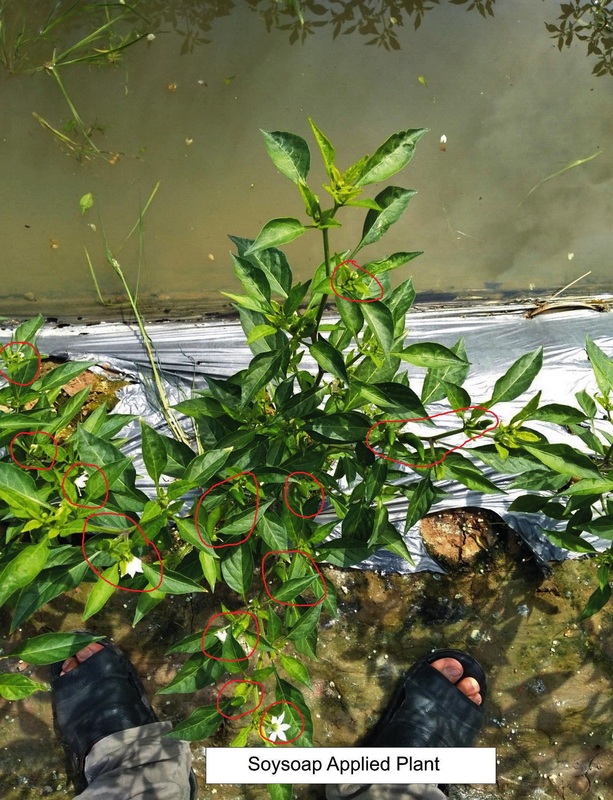 Untreated leaves less green, pest plenty, leaves are krinkly and no peppers! 60 Day Field Report Trial Plot. Applied and Control 2000 SQM. 1st Application field 25 days after plantation. No. of applications has been done so far: 2 application in 60 says. Interval between application: 30 days. Soysoap to water ration = 1:500.
b). So far the applied plants are healthy and have a dark green and sleep leaves compared with control plants. c). The most significant matter is, the applied plants are free from from any insect/pest infections. d). 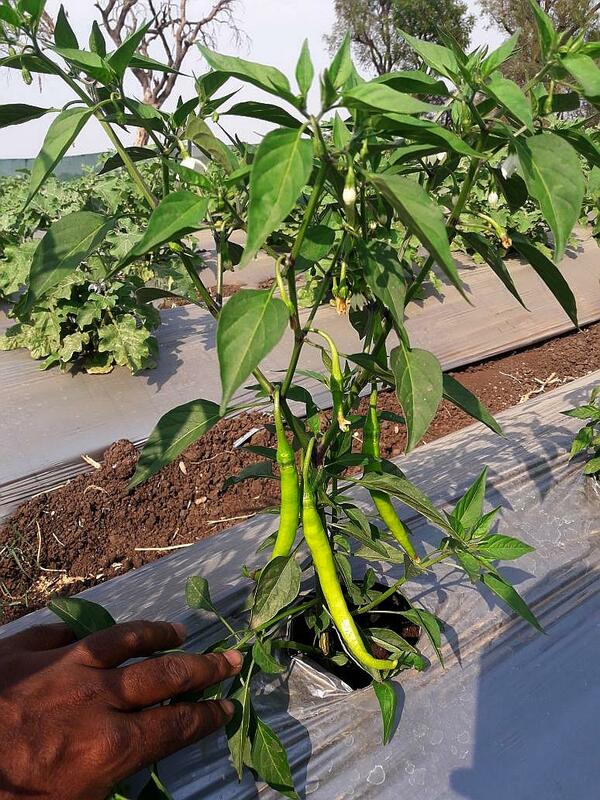 Farmer reports, The results of your product on chilli and vegetables are extremely good and farmer is very happy. 1). Vietnam is a triple crop country for Rice as you have no monsoon unlike Thailand! 2). First application of should of been when chili Plants have 3 leaves not 25 days! 4). More roots provides more nutrients to feed the plants for more products, more roots more chili's. 5). Our Goals would be more days of picking and at the end of normal harvest take a few plants and spray them every 15 days to see if they will keep harvesting. 6). Switch from 30 days to 15 days for applications so we can push the plants for more production and stay at 500 to 1. 7). Farmer will benefit from seed washing, germination test for bad seeds, and apply some product where seedling is planted 500 to 1. 8). 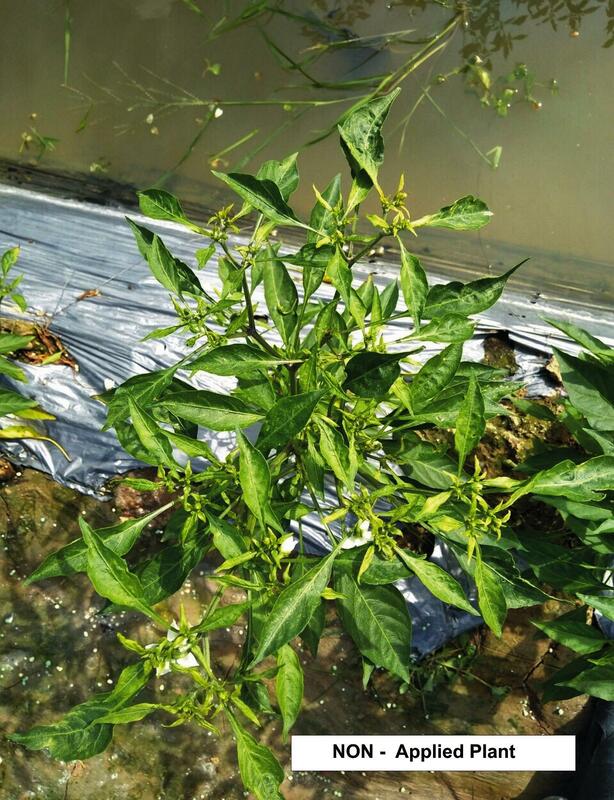 Chili Application program spray about 15 days, 30, 45, 60, 75 500 to 1 just misting, not watering, drenching, heavy spraying. 9). 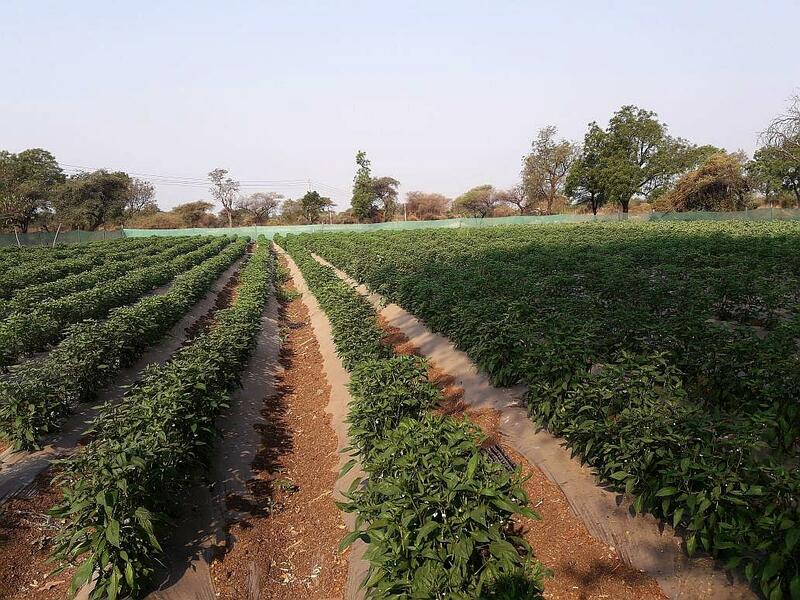 Farmer should expect and additional 30 days production, if not 60 days of harvesting Chili as our goal for him than he might of expected. Looks like some white spots on the leaves like the cucumber virus! Top leaves look good its the bottom leaves that look diseased. Bottom leaves could also be chemical damage from spraying! Copyright © 2008-2018 www.curewel.co - All content including, without limitation, text, images, media files, videos, software, and source code is subject to copyright protection and may not be used except with the written permission.